- (1998) - Cold Lake is located in western Canada in the province of Alberta. It is approximately 300 km (180 miles) northeast of Edmonton, 170 km (100 miles) north of Lloydminster, and 600 km (375 miles) northeast of Calgary. Access to Cold Lake is gained through Alberta Provincial Highway #28 and the northern Holiday Highway #55. Both highways are paved with asphalt and maintained throughout the year. 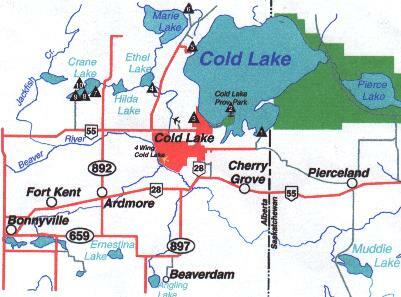 See Cold Lake Maps #1 and #2 for details. 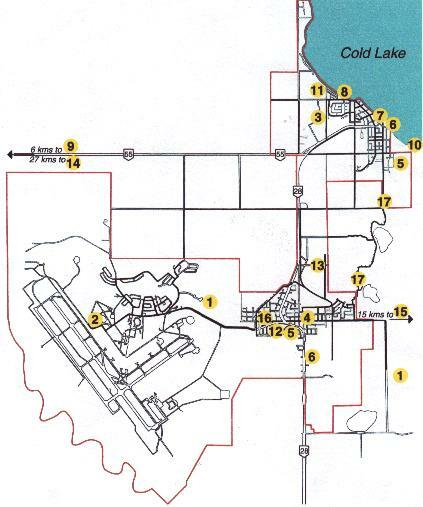 Map 1 is courtesy Cold Lake Tourism. Used with permission. Map 2 is courtesy Cold Lake Tourism. Used with permission.